Can you tell when something is an ad? Maybe. On television, radio, and billboards, it's pretty obvious. But online, ads are becoming harder and harder to spot. Social media platforms like Facebook use a method called native advertising to disguise their ads to look like normal content. And it works. In one study released by Contently, 77% of the participants incorrectly labeled native ads as either “editorial content” (34%) or a “hybrid” (43%). In reality, most of us rarely stop to think whether something is or isn't an ad. That's the beauty of native ads on our social media accounts: they create a seamless experience that makes us much more likely to engage with ads. How much money is there in online advertising? In 2016, digital advertising revenue in the United States increased nearly 22% to a record $72.5 billion, and was the first year that digital ad spending surpassed TV ad spending. You've heard of Facebook and Google? They accounted for 99% of all growth. At this point, the degree to which they dominate the industry is staggering. Google and Facebook are huge companies. They currently rank #2 (Google) and #6 (Facebook) on the list of most valuable companies in the world. And they make almost all of their money through digital ads. During the second quarter of 2017, Facebook posted revenue of $9.3 billion, a 45% increase from the previous year. 98% of their revenue came from advertising. 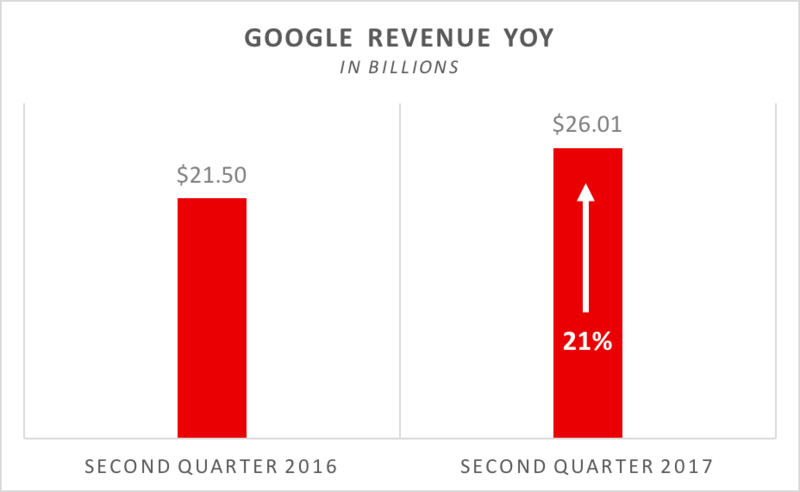 Meanwhile, Google earned $26 billion in the first quarter, a 21% increase from 2016, of which 87% came from advertising.